A few weeks ago, we went to Hawaii. It was an amazing trip, but there was one big hurdle before we got there: the airplane trip. Ten hours, one very short layover. With an active 3-year-old. My daughter is obsessed with the Disney Princess rolling suitcases from Heys Luggage. My husband and I have certain feelings about the “princess industrial complex” that pretty much guarantee the Disney suitcase is never going to happen, but I wanted her to feel that the eventual choice was special. I looked into Melissa and Doug’s Trunki, a ride-on suitcase that’s popular with the tot set, but many owners grumbled about design flaws like wheels that pop off and a tendency to tip over. Not what you need when you’re rushing to your gate! Any well-made kid-sized rolling suitcase was surprisingly pricey, plus Mom and Dad would end up carrying it eventually and very few have shoulder straps for grownups. In the end I did what I usually do, and headed over to eBay. Found a kid-sized duffel bag with ballet slippers on it to please our budding ballerina — $12 shipped, and we were good to go. Next issue — what to put in it? Extra clothes. Our girl rarely needs changes of clothes in normal daily life, but something about plane trips seems to guarantee leaky diapers and monumental beverage spills. Bring more extra clothes (tops and bottoms) than you think you could possibly need. Amusements. Bring at least one old favorite that you know will fill some time, plus a handful of new diversions that, if nothing else, will dazzle with their newness. Try wrapping them in gift wrap or tissue paper to make the event feel extra special. Each time your child starts to grow bored and restless, you can pull out a new gift. We packed a set of small foam toys, a pop-up book (turned out to be a smidgen old for our girl, but pop-ups are a great diversion where storybooks might be hard to follow), a small book of sticker paper dolls, and Dollar Store favorites like a plastic Slinky, crayons and paper and a pre-inked stamper, sheets of stickers, and a handful of colorful Band-Aids (Band-Aids are oddly mesmerizing to toddlers). Comfort item(s). If your child has a favorite blankie, stuffed animal, etc., you should bring it on the plane. Anything familiar that makes your little one feel safe in strange surroundings is an obvious plus. But be sure to check, double-check, and triple-check that you have this item with you at all times. Losing your child’s beloved mid-trip is a sure recipe for misery. That little carry-on wasn’t everything, of course. (How does adding one kid to the trip always seem to triple your luggage contents??!?) We also carried an insulated lunch tote with her milk and sippy cups. And the grown-up luggage had Pull-ups and wipes and diaper disposal bags (as with clothes, calculate how many you think you’ll need and then double it just to be safe! ), extra extra clothes, extra grown-up clothes (turned out to need them; see: monumental spills), a travel pillow that’s another comforting friend from home, and the iPad. I also added Children’s Tylenol to my container of “just in case” medications and a small hand sanitizer to my baggie of carry-on liquids. When we first had a baby, an acquaintance described his then-newfangled iPad as “the ultimate toddler pacification device.” He was not wrong. Fellow travelers have our own iPad to thank for their peace and quiet on our past plane, boat, and train trips. We downloaded a few favorite Pocoyo and Hopla videos and have a folder full of toddler apps. We generally stick with free apps or free previews — just search Google or the App Store for toddler or preschool apps and look for the free ones. But Elmo’s ABCs and Monkey Preschool Lunchbox are two that are absolutely worth their retail price. And the big question … how did it turn out? Brilliantly! She slept for maybe 2 hours of the 10-hour flight, but her bag kept her well fed and well entertained for the rest of the time. We definitely ran into spills and Pull-up leaks (hence my stress on extra changes of clothes), and airline bathrooms can be loud and scary for kids who are still potty training. But I’m pretty sure Mom and Dad were complaining worse than Kiddo by the time we got to Honolulu. Kids aren’t as cramped as adults in airplane seats, and they have no experience with petty grumbles like lack of food and creeping airline fees. 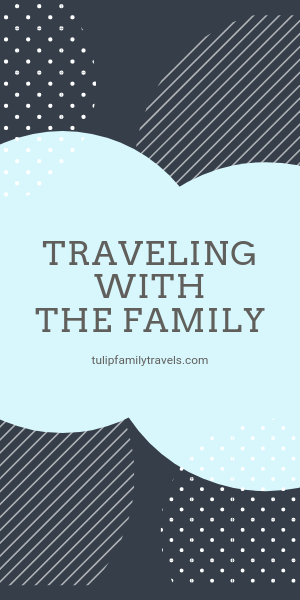 As long as you plan ahead to keep your toddler comfortable, entertained, reasonably well fed, and psychologically secure, plane travel can actually be a thrilling part of your child’s trip. What’s your best advice for keeping littles ones happy on airplanes? What do you pack in your carry-on?